For fragrance, you can add cardamom powder or rose water or vanilla. For crunch, you can add any nuts like almonds, cashew, pistachio, raisin, walnuts. And… your super easy pudding or simple Indian dessert is ready. You can make carrot halwa or beetroot halwa or pineapple halwa or coconut halwa or peanut halwa or mango halwa. I have made Carrot-beetroot sweet balls from this halwa recipe.. So, isn’t it easy and innovative? I usually find the way to make any complicated dessert recipe into easiest one. And you can also do that if you follow some basic steps while you making it first time. Surprisingly, I can find my niche by making this recipe. I can make Indian dessert The Authentic One very easily and perfectly. 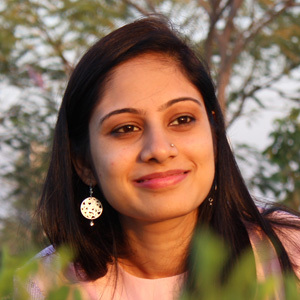 Authentic Churma Ladoo and Aloe-vera Sweet recipe you can find in my site with super easy way. So, I promise you my friends, I will take you on tour of best Indian Sweets with easy way. 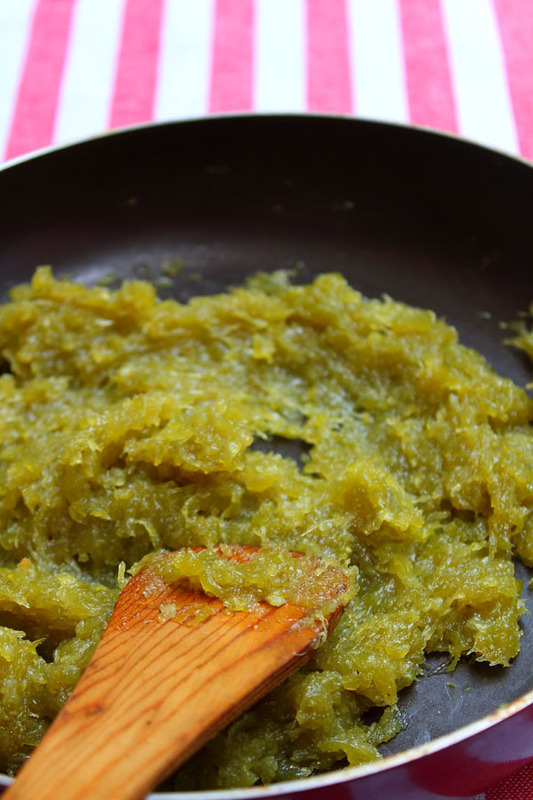 For making Lauki Halwa Recipe, you need three basic ingredients sugar, milk and bottle gourd. Keep in mind that bottle gourd itself is very juicy vegetable. So, first you need to cook only bottle gourd (lauki) into pan with ghee or butter. Once it evaporate water then add milk into it. Then you need to stir and stir until some milk get reduced up to 70% and then add sugar and again cook it till it get all water evaporated. Then you will get right consistency of halwa. And switch off the flame add cardamom powder and mix it well. 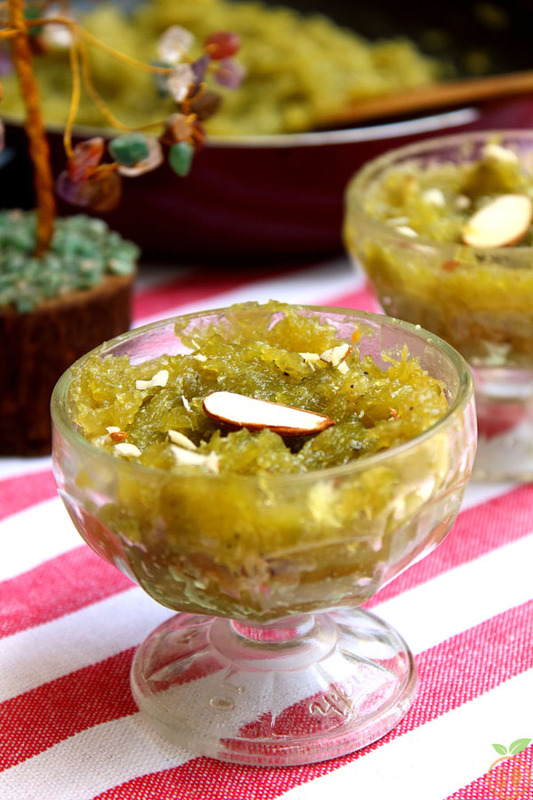 And at last after 1 hour spending you will get best lauki halwa with super delicious taste. I know, the authentic Indian Sweets recipes are too time consuming and lots of different method to do it. But only one method will give you perfect result and taste. You just need to find it. To get best consistency of halwa, you need to reduced all water of bottle gourd first then add any more ingredients into it. 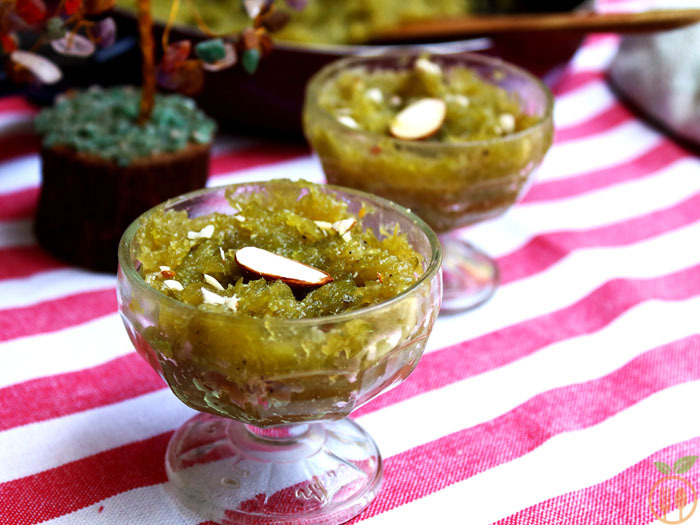 There are lots of other ways to make this halwa, you can first cook bottle gourd in pressure cooker and take all water out by pressing it well. And then cook it. It may take less time to cook. But it does not taste like this one. Use of mava will also works. You can replace milk + cream with mava. If you want to make this recipe with condensed milk, then first reduce all water content from bottle gourd and then add condensed milk and cook for just 5 minutes. Don’t use sugar in this method. Every method has different taste, so it’s up to you whatever taste you like it. But my authentic method to cook perfect lauki halwa Recipe will never be substitute. 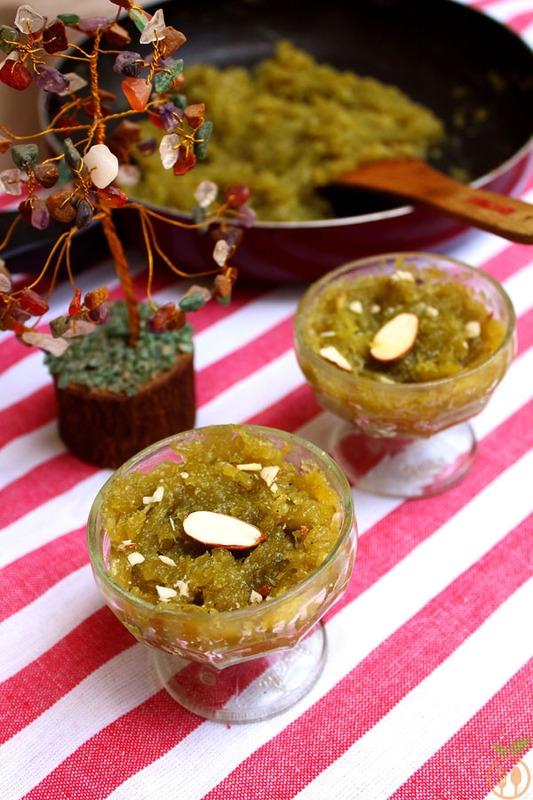 Lauki Halwa or Dudhi Halwa or Bottle Gourd Halwa is again super delicious authentic Indian dessert recipe. 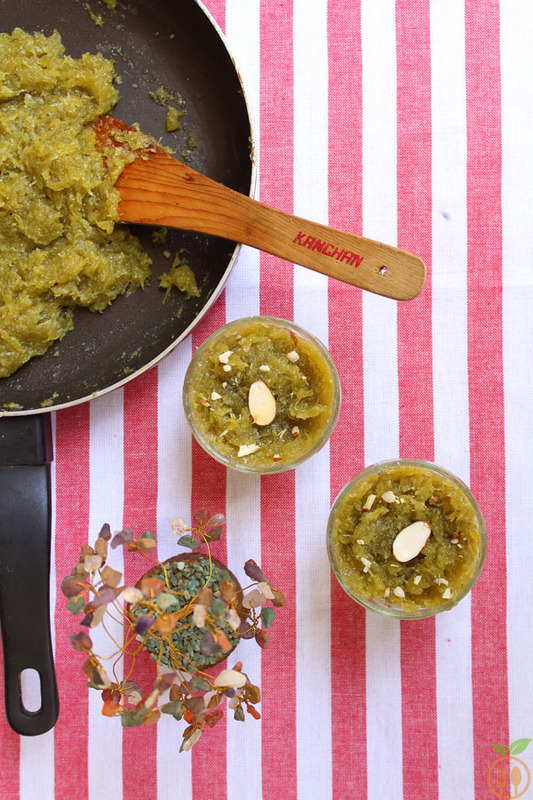 Lauki Halwa is classic dessert made with just few ingredients: bottle gourd, milk and sugar. 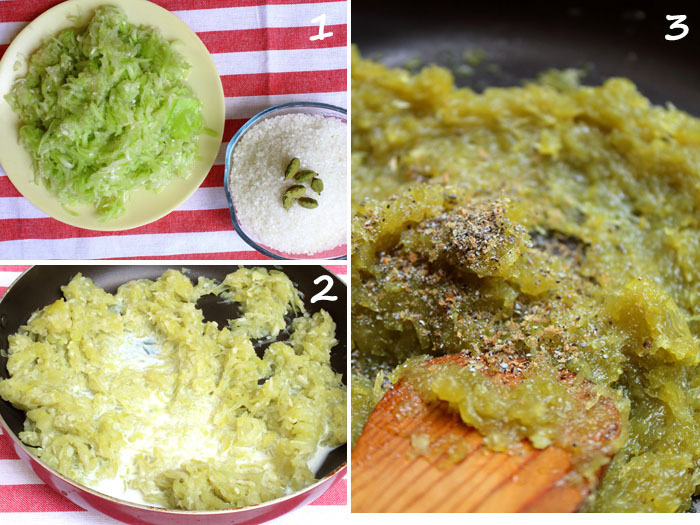 In a large non-stick pan, take grated bottle gourd (lauki) and ghee. And stir it till it's water will evaporate. This will take 10 minutes. If you make it large quantity then more time required. Now add milk and cook till milk will reduce and evaporate. The bottle gourd will cook in milk and you will get the good aroma. This will take 10-15 minutes. Once all water will evaporate, then add sugar and cream into mixture. Again cook it till sugar will melt and also water of sugar will evaporate. Stir it continuously till you find all water of mixture is evaporated and you get pudding like texture. Finally add cardamom powder, and serve hot by garnishing it with almond flax or raisin or cashew nut. 1) You can store it air-tight container in a fridge for 7-10 days. 2) You can also add some cashew or raisin with cardamom powder. It also taste good.